Dr. Dutt is competent academician and administrator offering exposure of 34 years (13 years in corporate & 21 years in Academic) of rich and cross- functional experience. He is an accomplished trainer and a mentor with sound track record of creative scholastic achievements. He has proven competencies in designing course curriculum and implementing innovative instruction methodologies to match international standards. He has published over 50 research papers in various national and international journals of repute. He has authored 8 books and presently writing a book on Digital Marketing. He is well known name in the computer sciences academic circle for more than 11 years. He is an expert in the field of Information Technology and Computer Networking. He is a Microsoft Certified Professional and has hands on experience handling various client-server networks operating on Windows, Linux and Open Source Platform and has a strong programming base in PHP, JAVA, ASP, .NET and Ruby. He is pursuing his research in Network Authentication and Cryptography and has various publications in the related fields to his credit. He has more than eighteen years experience of teaching in under graduate and post graduate programme in leading Business School and about five years of experience in reputed Multinational companies in field Sales & Marketing. He is also involved in research and has more than ten publications to his credit in National/International Journals and attended various AICTE sponsored workshop organized by different B-School. He has the expertise in the field of Marketing research, Consumer behavior, Research Methodology, Retail Management and International Marketing Management. He has 15 years experience of academics and industry. He is teaching International Business, Consumer Behavior and Advertising. He has attended many national and international conferences. 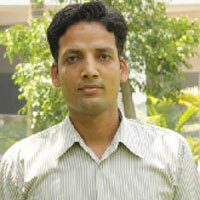 His research papers has published in different journals. His area of interest is on Consumer Behavior, Retail Management and Research Methodology. She has got an experience of more then 10 years teaching in MBA and BBA. 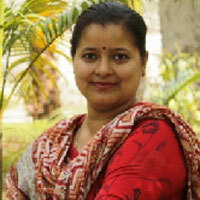 She is PhD in Management (HR) from Uttarakhand Technical University, Dehradun. Her areas of specialization are Human Resource Management, Business Laws, Labour Laws, Organizational Behavior etc. She has guided students in their projects and participated in several national conferences. She has 5 years of teaching experience at graduate and undergraduate level. She has attended various national level seminars and faculty development programmes. Her areas of interests are Operation Research, Research Methodology, and Statistics. He has a teaching experience of about 4 years. He is registered for PhD from Uttarakhand Technical University. His areas of expertise are C, Networking, Web Technology, Digital Electronics, Management Information System ,System Analysis and Design. He has more than 6 years of teaching experience. He has an MBA Degree with specialization in finance and M. Com Degree with Specialization in Finance and Management. His Academic interest includes business finance, Financial Accounting, Management Accounting, Management of Financial Services. He has presented papers at various national seminars sponsored by AICTE. He has attended the various QIPs and Seminars related to management studies. He is actively involved in social work and is associated with many organizations working towards social excellence in Uttarakhand. He is highly motivated, enthusiastic and dedicated educator who want all students to be successful learners. He has more than 4 years of teaching experience and around 7 years experience as Network Administrator. His areas of expertise are JAVA, .Net, C, C++, Data Communication and Networking, Relational Database Management System. 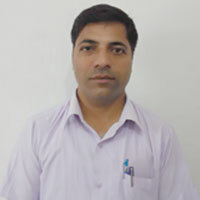 He presently teaching in M.Sc (CS), BCA and B.Sc (IT) programes. He is working as an active member of Sports and Academic Committee for the last seven years. He participates in various social and community development programs. He has guided students in project reports. She has completed MCA from Graphic Era University, Dehradun. She has an experience of 5 years in teaching. Her areas of interests in programming (c,c++),operating system etc. 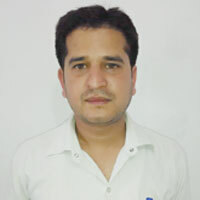 He has more than 2 year of teaching and around 5 year's experience as Network Assistant. His areas of expertise are C, C++. 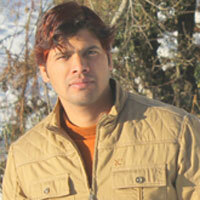 He presently teaching in M.Sc (CS), BCA and B.Sc (IT) programes. He is working as an Sports Coordinator for the last five years. He participates in various social and community development programs. 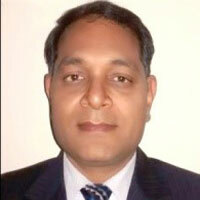 He has done his MBA with specialization in Human Resource and Marketing and M.A. Psychology from Uttarakhand Open University. 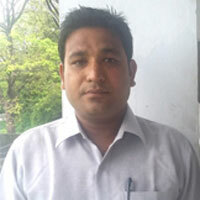 Currently he is doing Ph.D from Uttarakhand Technical University. He has more than 7 years of working experience in the field of academics. His areas of interest include Training and Development, Industrial Relation, Organizational Climate, Innovation in Business Models. He conducts different in house training session for the students. 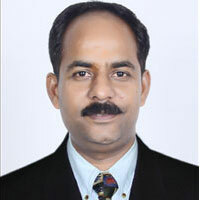 He is a member of National center for quality Management, Mumbai. He has done his MBA with specialization in Marketing and International Business. He has approx. 4 years of working experience in the field of academics. He participated in various national seminars and presently doing AICTE and IIT sponsored faculty development short term course in Global Marketing Management. He is an Assistant Professor of Computer Science at Omkarananda Institute. He received his Bachelor’s degree in Computer Science and Engg. from H.N.B. Garhwal University in 2009 and his M. Tech. (CSE) in 2015 from DIT University. He was a Teaching Staff Member at the Tata CMC Center (2010-2011) and a Software Engineer in the Chevron IT Department at Secunderabad (2009-2010) before joining the OIMT faculty in 2017. His research interest is in areas related to programming languages. 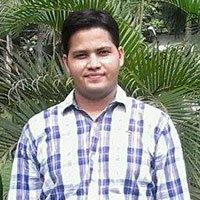 He is a Software Trainee, a recipient of Advance Java Diploma Certification, and a former Mentor of the Doon Institute ,Rishikesh , Computer Science Department (2012-2013). He has done his MBA with specialization in Finance and Marketing. He has approx. 3.5 years of working experience in the field of academics. He participated in various national seminars. His specialization area is Financial Management, Management Accounting, Financial Accounting. He works as an Assistant Professor of Computer Science at Omkarananda Institute of Management & Technology. He has completed MSc (Computer-Science) from H.N.B. Garhwal Central University Srinagar Garhwal in 2012.He has more than 9 Years of Corporate Training, System technical support and Networking experience in the field of computer science. His area of interest includes Various Computer Programming’s, Database Management System, Software Development and testing, Computer Hardware and Networking technologies. He has worked as a Network Administrator at BHEL Haridwar (July 2018 to Feb 2019) and a former Training Manager at Next Education India Pvt. (Ltd.) and NIIT Technologies Ltd. across the country.